Babies in walkers look adorable, but are they safe in it? A baby walker may seem like a parent’s favourite toy. It keeps a baby amused while the parent takes a break and also teaches a baby to walk. Er, doesn’t it? Well, walkers may look harmless – just a small frame with a seat and four wheels, but they can be the worst baby equipment you could expose your little one to. “Walkers are unsafe for the baby. 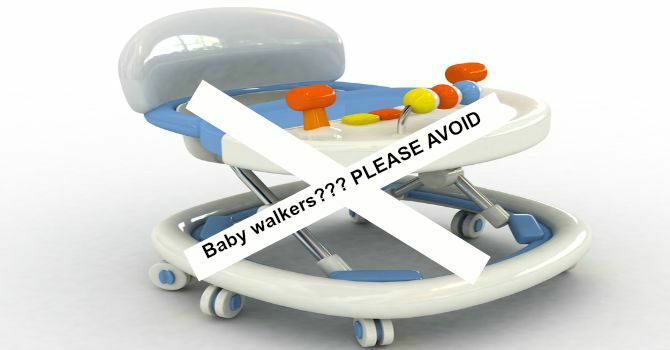 Professional bodies like the AAP (American Academy of Paediatrics), ROSPA (Royal Society for the Prevention of Accidents) and CAPT (Child Accident Prevention Trust) actively discourage the use of baby walkers because of the high number of accidents associated with their use,” says Dr Anand R, consultant pediatrician, Columbia Asia Hospital, Bengaluru. Babies and toddlers (age group 6 to 15 months) have limited mobility. By placing them in a walker, they are exposed to greater speeds they don’t normally have, often making them lose control. According to ChildsafetyEurope, in the UK in 2002 itself, over 2,350 children were taken to the hospital after being injured in a baby walker. Doesn’t a walker help a baby walk? A lot of parents feel that a walker can help an otherwise ‘lazy’ baby to walk earlier, but this is untrue. “Baby walkers will not help your baby learn to walk. Using one too much may even delay their development,” confirms Dr Anand. Children who use baby walkers very often tiptoe to move around and this action can delay normal walking. “A baby needs to learn to roll, crawl, sit or play on the floor in order to reach their developmental milestones and understand spatial awareness,” adds Dr Anand. It is simple. Do away with the walker. A playpen can allow your baby to move in a protected enclosure. 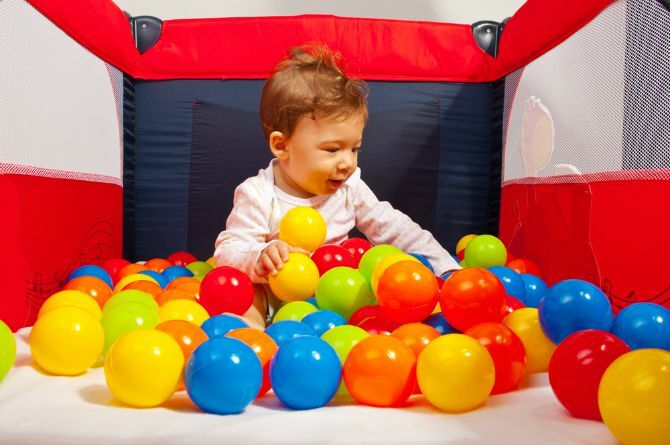 You could fill the area of a playpen with attractive toys or balls. So whether it’s a gift or a purchase, a walker does more harm than good. It’s time to wrap it up and stow it away. If you have any thoughts on the safety of baby walkers, please share in the Comment box below. STOP! There's danger lurking in your baby's teether!